An innovative and accessible guide to business, management and commerce Learning about business can be daunting, but The Business Book makes it easier than ever by giving you all the big ideas simply explained. Simple explanations and stylish infographics open up the business world to even the complete novice. The Business Book is the perfect primer to key theories of business and management, covering inspirational business ideas, business strategy and alternative business models. 100 key quotations introduce you to the work of great commercial thinkers, leaders and gurus from Henry Ford to Steve Jobs and to topics spanning from start-ups to ethics. Whether you are a would-be entrepreneur or just have an interest in business, The Business Book is an all-in-one guide to business management, theory and strategy. How can management be developed to create the greatest wealth for society as a whole? This is the question Peter Drucker sets out to answer in Innovation and Entrepreneurship. 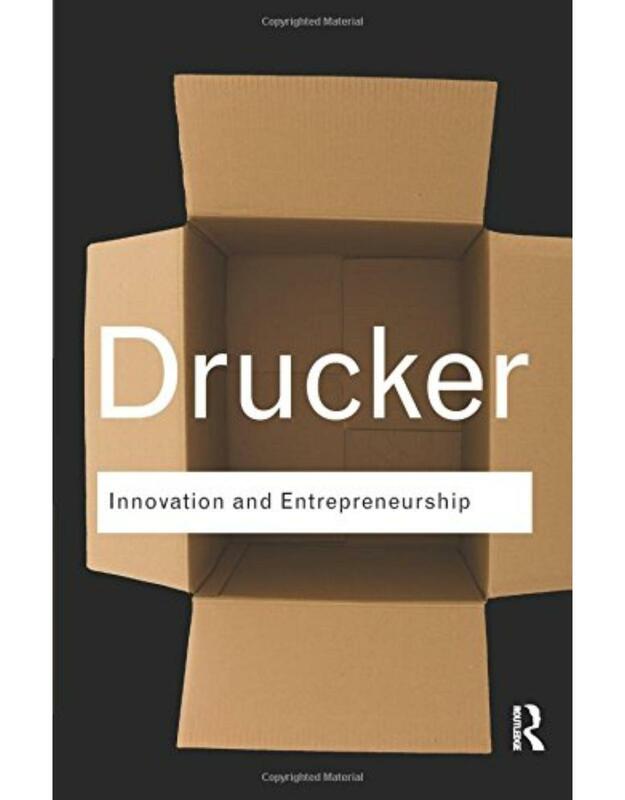 A brilliant, mould-breaking attack on management orthodoxy it is one of Drucker’s most important books, offering an excellent overview of some of his main ideas. He argues that what defines an entrepreneur is their attitude to change: ‘the entrepreneur always searches for change, responds to it and exploits it as an opportunity’. To exploit change, according to Drucker, is to innovate. Stressing the importance of low-tech entrepreneurship, the challenge of balancing technological possibilities with limited resources, and the organisation as a learning organism, he concludes with a vision of an entrepreneurial society where individuals increasingly take responsibility for their own learning and careers. Malcolm McDonald on Key Account Management explores the challenges of winning, retaining and developing key accounts. Key accounts are customers who help their suppliers grow, and consequently, they wield significant power. Although they are the key to market share and revenue growth, the costs of serving key accounts can erode profitability unless they are thoroughly understood and managed. Malcolm McDonald on Key Account Management takes a step-by-step approach to presenting best practice in key account management. Whether your business is starting up or well-established, there is always more to discover about improving the way value is created between you and your most important customers. 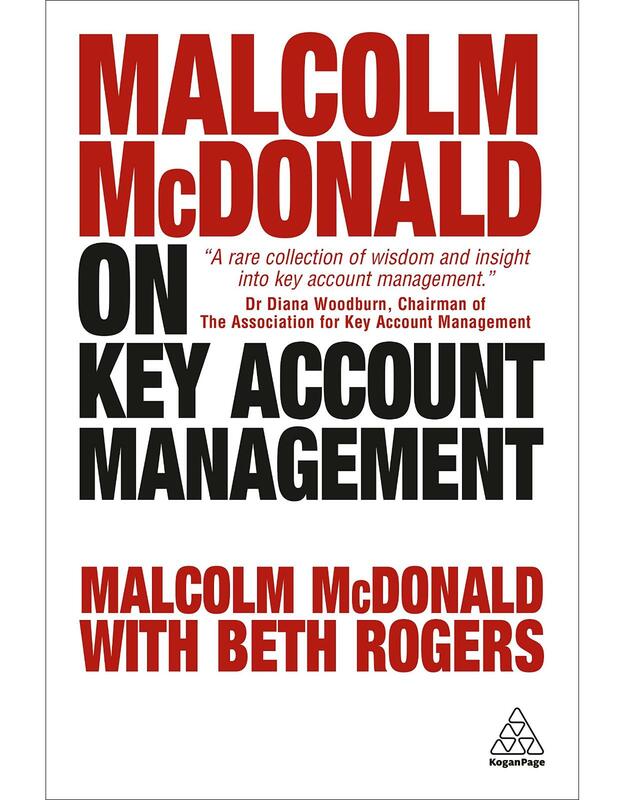 Malcolm McDonald and Beth Rogers have spent over twenty years researching, teaching and consulting on key account management, and have condensed their knowledge into this book, focusing on making it clear, concise and easy to use. Shortlisted for the CMI Management Book of the Year Award 2012. For managers and business leaders who want to enhance performance, this easy-to-use guide to employee management offers real solutions for getting workers engaged and increasing productivity. It explains what employee engagement is, why it matters, what the benefits of it are, what helps and hinders it, how to measure it, how to put theory into action when trying to create it. As an added benefit, it offers plenty of advice on how managers can keep themselves engaged, even during the toughest of times. Publishing for Profit provides information on managing and controlling the various publishing activities that are performed on a daily basis. It includes: research and setting objectives; financial matters; editorial process; production and manufacturing; sales and marketing; and rights. Innovation and Entrepreneurship deals with 'what, when and why'; with policies and decisions; opportunities and risks,structures and strategies; staffing, compensation and rewards. In addition to managers in all types of business, lecturers and students of management and business studies will this a revealing and exciting work. Highly critical in approach, it is nevertheless a practical and illuminating study of a area crucial for today's world. Enabling students to understand and appreciate the interdependence of the Earth's natural systems, this text covers the specifications for 5014 and 0680 Environmental Management. With a detailed and thorough approach, it will cultivate a strong understanding of resource management. Endorsed by Cambridge International Examinations. This text is aimed at MBA students and Masters students on general business or management programmes, who are or will become general managers, and especially those with some direct responsibility for HRM policies and practices. The purpose of the text is to give the managers of tomorrow a basic grounding in HR theory and practices. The text will place HR in a managerial context and will cover the key areas that a line manager needs to know without placing too much emphasis on historical development. The text will therefore seek to offer a real-world perspective on people management by adopting a managerial, positivist approach and by avoiding overly academic content. Organization Development is concerned with using planned and systematic approaches to help develop more effective organizations. This is done by taking an objective look at how an organization is operating, gathering information and then deciding on the most appropriate action to help that organization change and develop. Written by two of the leading experts in the field, Organization Development defines OD and describes how it can be used effectively in today's economy to create organizations which maximise organizational capability. The authors provide practical advice on using diagnostics techniques to identify an organization's needs and explain how to use them across a range of areas including; change, culture and organization design. Bridging the gap between theory and practice, Organization Development provides a wealth of helpful advice for OD practitioners, HR professionals and those with an interest in helping develop their organization. Change management is a challenging and continuous process that requires a particular skill set for both leaders and managers. It is essential for leaders and change agents to understand and address the five most important questions: Why? What? Who? How? When? Inside, you'll learn the concept of change management, its impact on the company's business performance and sustainability, and the relevant issues associated with it. The author highlights the importance of sustainable development, including economic, environmental, and social elements and introduces different types of changes including planned, unplanned, incremental/marginal, transitional, and transformational ones. Various models of planned and unplanned changes are featured, including leaders as change agents; the concept of resistance, reasons, sources, and forms of resistance to change; definitions of values, attitudes, personalities, and perceptions of individuals; and how these determinants affect individuals' behaviors, attitudes, and responses toward organizational change. Several organizational examples are provided throughout the book to illustrate how high-performance organizations grow their business. Global Logistics and Supply Chain Management , now in its second edition, is essential reading for students studying SCM and logistics. Encompassing both practical and strategic perspectives, it also takes a truly global perspective, recognising the transnational nature of logistics activities in today�s world. The four authors bring a wealth of experience and knowledge from their careers which to date have spanned Europe, the US, Asia and Australia. In addition the book benefits from chapter and case contributions from 27 authors (both from industry and from academia) located across the globe. Key features of this new and extended second edition include: 19 up�to�date chapters on all aspects of logistics and SCM, including coverage of emerging and important topics such as service supply chains, security, sustainability, and supply chain vulnerability. An easy and clear introduction to key quantitative techniques that can be applied to logistics such as simulation and modelling. Thirteen international case studies, on diverse topics such as commodity logistics and extraterrestrial supply chain networks, to illustrate key concepts and extend learning. Bring modern logistics theory to life. By exploring modern logistics from a managerial perspective, this leading text brings theory to life with its timely, practical, and thorough coverage of the fundamentals of logistics in today�s dynamic global landscape. The tenth edition reflects the latest technological and economic changes that have recently occurred in the business world. Strategic Brand Management 2e provides a comprehensive and up-to-date treatment of the subjects of brands, brand equity, and strategic brand management. Strategic brand management involves the design and implementation of marketing programmes and activities to build, measure, and manage brand equity. 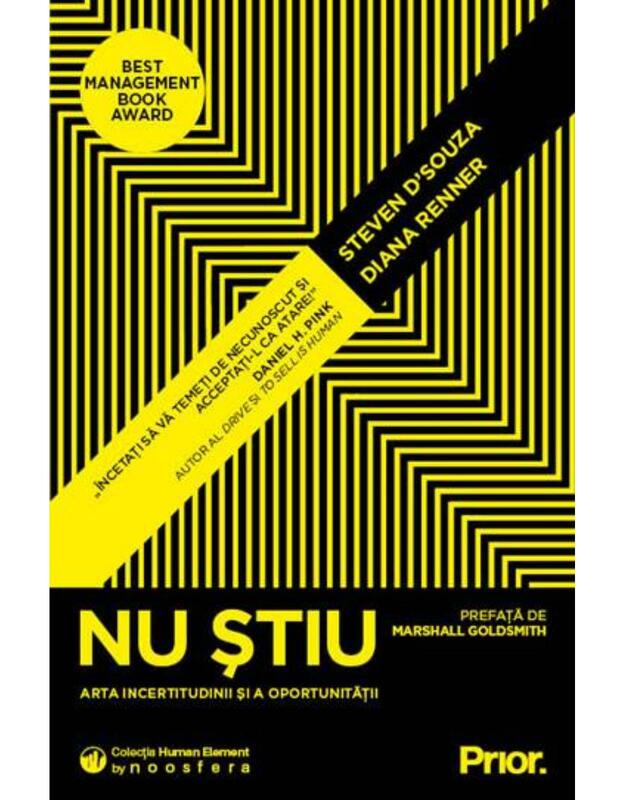 The book aims to provide managers with concepts and techniques to improve the long-term profitability of their brand strategies. It incorporates current thinking and developments on these topics from both academics and industry participants. It also combines a comprehensive theoretical foundation with numerous practical insights to assist managers in their day-to-day and long-term brand decisions. Management Accounting, Third Edition, offers the ideal balance between technical and conceptual approaches to Management Accounting. With its comprehensive coverage and focus on assessment material and application, this new edition is an essential core text for undergraduate accounting students and flexible enough to be used across a variety of levels. Introduction to Operations and Supply Chain Management, 2/e is the first text to provide an integrated and comprehensive treatment of both operations and supply chain management. Managing staff performance is an effective mechanism for developing both staff and organizational growth. By clarifying an organization's objectives, translating these into clear individual goals and reviewing these goals regularly, performance management provides a well-structured and effective management tool. In this completely updated fifth edition, Michael Armstrong considers the latest developments in this area, and how these can be applied to managing staff for increased performance. He provides a detailed analysis of current evidence-based research in this field and considers how this informs the practice of performance management. Students trying to navigate the strategy jungle may lose sight of the fact that strategic management is about creating value in an organization. Understanding strategic management is a core part of all business qualifications and this textbook brings a new and easy-to-follow understanding of this vital business function. In addition to walking the student through the basics of the subject, the authors provide an array of analytical tools to help facilitate a thorough understanding of strategic management. The book addresses thoroughly the impact of financial markets on a firm's strategic capabilities, as well as looking at other challenging environmental factors. Aided by an array of student-friendly features, such as: learning objectives, 'strategic management in practice' case studies and review questions in each chapter, Strategic Management will help students to excel in their strategic management classes and better prepare them for the real business world. Casinonomics provides a comprehensive analysis of the economic and social impacts of the casino industry. Examining the latest cutting-edge research, with a mix of theory and empirical evidence, Casinonomics informs the reader on the most important facets at the forefront of the public policy debate over this controversial industry. While the casino industry has continued to expand across the United States, and around the world, critics argue that casinos bring negative social impacts that offset any economic benefits. Casinonomics examines the evidence on the frequently claimed benefits and costs stemming from expansions in the casino industry, including the impact on economic growth, consumer welfare, and government tax revenues, as well as gambling disorders, crime rates, and the impact on other businesses. Readers will come away with a better-informed opinion on the merits of these arguments for and against public policies that would expand casino gambling. With a unique, highly practical approach to teaching business ethics, this text focuses on the relationships among various stakeholders, including individuals, groups, corporations, and governments. The book includes an easy, step-by-step guide to implementing stakeholder analysis, tips to help students apply ethical principles in their personal and professional lives, and comprehensive coverage of employee workplace issues. It addresses highly relevant topics such as risk management, preferential hiring, corporate legitimacy, and moral accountability. The text also explores todays increasingly interconnected global business environment with coverage of multinational corporations and important issues such as the digital divide, bribery, corruption, human rights, and the environment. The new sixth edition incorporates the latest research, updated cases (such as WikiLeaks), and a full complement of online support for students and instructors, including teaching notes, PowerPoint slides, and sample tests. Manufacturing companies work endlessly to make process improvements, yet they are often hard to implement and even harder to sustain. The reason: companies often stumble when communicating why the methodologies are being used and how to sustain the improvements. Communication for Continuous Improvement Projects demonstrates how to communicate change, create confidence in the new processes, and empower employees. It shows how to be an effective change agent by utilizing tools that make sense while being competitive in the business market. The book explores how the proper tools, communication, and management make the Lean Six Sigma methodologies work. It includes a Continuous Improvement Toolkit that is an easy reference for what tool to use and when and how to effectively teach the tools to employees who are not necessarily engineers. Communicating these tools is the most difficult part of using the tools. The author details the implementation of the actual tools that create confidence and explains Lean Six Sigma in a way that will make employees want to jump on board. Result-driven decisions can be made from the methodologies described in this book, making processes quantifiably better with sustainable results. Extensive and informative, the book takes the guesswork out of the art of continuous improvement through communication. The 18th edition of Crafting and Executing Strategy represents one of our most important and thoroughgoing revisions ever. The newest member of the author team, Margie Peteraf, led a thorough re-examination of every paragraph on every page of the 17th edition chapters. The overriding objectives were to inject new perspectives and the best academic thinking, strengthen linkages to the latest research findings, modify the coverage and exposition as needed to ensure squarely on-target content, and give every chapter a major facelift. While this 18th edition retains the same 12-chapter structure of the prior edition, every chapter has been totally refreshed. And the chapter content continues to be solidly mainstream and balanced, mirroring both the best academic thinking and the pragmatism of real-world strategic management. An attractive collection of 20 relevant, readable, and recent readings that amplify important topics in managing a company's strategy-making, strategy-executing process is included in this Concepts and Readings version to provide students with a taste of the literature of strategic management before tackling cases or simulation projects. While the web itself is about twenty years old, businesses are still impleme- ing the technology into the fabric of the business model. The background section will focus on defining the building blocks for the framework including defining the basic components of Web 1. 0 which focused on the presence and business transaction. The Web 2. 0 section will focus on defining the basic building blocks of customer interactions, while the final section will focus on a review the wine industry. 2. 1 Web 1. 0: Presence and Electronic Commerce The term Web 1. 0 emerged from the research around the development of Web 2. 0. Prior to this, researchers commonly referred to Web 1. 0 as Electronic C- merce or E-Business. Where as, web 1. 0 focused on a read only web interface, Web 2. 0 focuses on a read-write interface where value emerges from the contri- tion of a large volume of users. The Internet initially focused on the command and control of the information itself. Information was controlled by a relative small number of resources but distributed to a large number which spawned the massive growth of the web itself. Like television before it, the web allowed for the broadcasting of information to a large number of users. Initial web sites were built simply to communicate presence or provide information on the business - self. This component includes information like marketing materials, investor re- tions, employment opportunities, and product information. Web search engines are not just indispensable tools for finding and accessing information online, but have become a defining component of the human condition and can be conceptualized as a complex behavior embedded within an individual's everyday social, cultural, political, and information-seeking activities. This book investigates Web search from the non-technical perspective, bringing together chapters that represent a range of multidisciplinary theories, models, and ideas. A comprehensive treatment of all aspects of waste disposal and management illustrated by numerous practical examples. This English version includes a comparison of regulations in the USA, Canada and Japan, US environmental legislation (both Federal and State) as well as a number of case studies, such as Recycling Hawaii, barge wastes - Mobro 4000, worker safety (OSHA), and pollution prevention - Wisconsin. This book contributes fresh theoretical and empirical evidence on patterns of regional production structures, specialization, regional disparities, convergence and divergence processes and evaluation of cohesion policies in both current and future European Union (EU) member states in the context of increased integration. These subjects are addressed in both individual and cross-country analyses using innovative methodologies. The book is an essential reading for a large audience including researchers and policy makers working in the fields of economic integration, transition economics and regional development. The thirteen contributions brought together in this book are the result of recent research undertaken in the framework of a larger project initiated and coordinated by the Center for European Integration Studies (ZEI) of the University of Bonn on determinants of regional specialization, growth and convergence in the context of European integration. A number of these papers were presented to a conference on "European integration, regional convergence, location of industrial activity and labour market adjustment" initiated by the Center for European Integration Studies of the University of Bonn and organized jointly with the Center for European Studies of the University "Alexandru Ioan Cuza" of Iasi, Romania. We gratefully acknowledge the financial support from the European Commission Framework Programme and the Center for European Integration Studies of the University of Bonn.